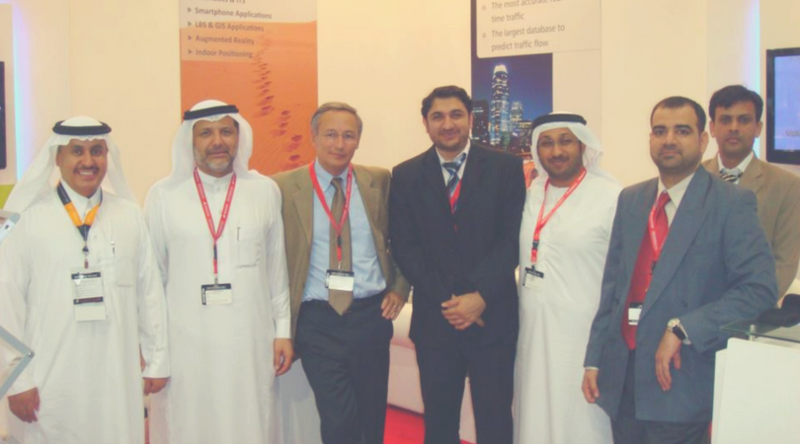 THTC participated in the prestigious GITEX Technology Week 2011, one of the world's most dynamic and influential ICT exhibitions. Gitex is the platform for professionals from around the world to do business across the Middle East market. This year's event took place from 9th October to 13th October 2011. THTC, together with TomTom was located at Booth No. TA-A10 in the exhibition at Sheikh Saeed Halls of the Dubai International Convention & Exhibition Centre. After the encouraging response in the previous exhibitions from Middle-Eastern audience, THTC and TomTom have set their target to acquire larger piece of the pie in Mapping and Telematics industry internationally. We believe that participation at GITEX 2011 provided us with the perfect platform to showcase our innovative capabilities, share our vision for the region with our partners and show our appreciation for a market that contributes to our continued success. It also let our customers, both existing and potential, as well as partners, know of the THTC and TomTom plan to continue to expand and serve the country’s thriving technology sector.